The department of U.S. Immigration and Naturalization was once a part of the Department of Justice in the United States. At it’s most basic level, it was the agency that handled cases regarding legalization of citizenship and immigration, as well as issues regarding illegal immigration and working. However, in 2003 this particular agency was shut down, and new agencies took up the endeavors of the non-existing agency. 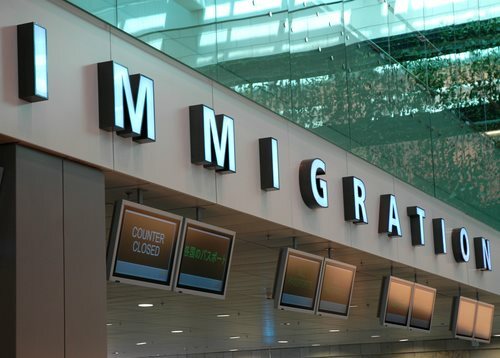 The U.S. Immigration and Customs Enforcement agency took up the aspects of protection against terrorism, and illegal activity within the borders of the United States. It is responsible for the revamping of particular policies and regulations that go along with border patrol, customs, and other areas of immigration concern. The citizenship and legalization aspect of the U.S. immigration naturalization office was moved over to what is now the U.S. Citizenship and Immigration Services. This is the agency that deals with all of the legal forms, filing processes, documentation, and review necessary in order to allow individuals to receive citizenship and have their legal rights provide by the government. This agency provides information on the laws that are necessary to know, forms in order to legally become a citizen, and the regulations required with maintaining and upholding citizenship. U.S. Immigration Services have been instituted with more strict rules and regulations since the attack of the World Trade Center and the Pentagon on September 11, 2001. This is to help protect the citizens of the United States, while presenting individuals of other countries or of varying circumstances the opportunity to formally apply and become a part of this nation.